Whether you are traveling for business reasons or for leisure, one thing that remains pertinent is the ability to stay connected during your visit. While at that, it is important that you take security measures to protect your personal information. In the past, most travelers would contend with public Wi-Fi access points in hotels, shopping centers, malls among others. Since such networks are typically unsecured, the risk they pose to your privacy is something you cannot afford to ignore. It is for these reason that mobile wi-fi router services come in very handy. If you are traveling overseas, one of the most important things you need to consider is reliable company that will provide you with seamless internet access at affordable rates. Visondata is one of the best travel mobile internet provider offering solutions all over the world. Whether you are traveling to China, Hong Kong, Korea, Singapore or any other destination, you will find this device very useful. You can rent one of their mobile wi-fi device when traveling overseas and experience convenience at its best. 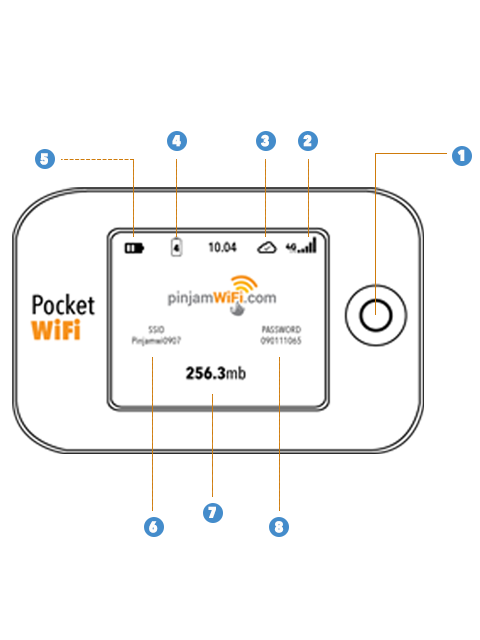 This pocket wi-fi hotspot device is compatible with so many applications including Crazyegg. Whether you want to use tools like Confetti, Overlay, Heat map, or scroll map, your best chance lies with a reliable mobile wi-fi device rental company. BAGAIMANA MENGHUBUNGKAN PERANGKAT ANDA ? Hidupkan perangkat WiFi dengan menekan (dan tahan) tombol daya hingga lampu menyala. Masukkan kata sandi jaringan Wi-Fi Anda ke kolom kata sandi untuk perangkat yang ingin Anda hubungkan. Kata sandi sudah disertakan/tertulis di bagian belakang perangkat WiFi. Perangkat Anda sekarang terhubung dan siap digunakan. Anda dapat mengulangi langkah 2 sampai 4 untuk menghubungkan perangkat lainnya (hingga 10 perangkat). Bila Anda telah selesai menggunakan pocket Wi-Fi, tekan (dan tahan) tombol daya hingga layar hilang dan perangkat telah mati. untuk memberi Anda koneksi internet yang cepat dan terpercaya tanpa harus membayar biaya roaming data yang tinggi. Copyright © Pinjam WiFi 2008-2019. All rights reserved.